Hailing from Atlanta, Georgia is one of the most progressive group’s of our post-modern era. Hero The Band is keeping things as real as a family can be. Consisting of members Jerramy Barnett, Nicolas Barnett, Justin Barnett, and Derrian Barnett, Hero The Band is a family brand of four brothers. Literally, music is in the blood of these talented brothers, who are “household name bound” by means of their raw talent and determination. As creators of their own sound, much of Hero The Band’s hard work is finally paying off. 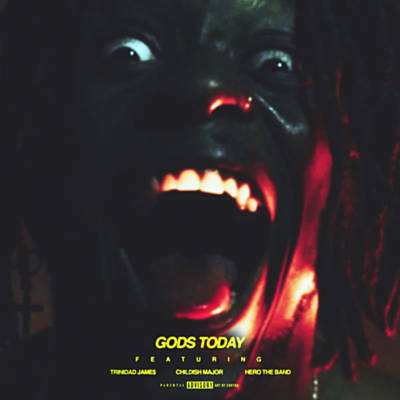 The group’s recent single Gods Today is electrifying! Gods Today by Hero The band is a funky symphony that paints a realistic portrayal of the injustice in America. Adding some spice to the flavor of the song’s recipe are guest rap vocalists Trinidad James and Childish Major. Gods Today comes with an infectious energy of instrumentation that will keep audiences bouncing. What I enjoyed most about this tune is its healing capacity and message of hope and inspiration despite the dark clouds looming above in America’s political atmosphere. The music world has found itself a new hero in Gods Today.